Cardiovascular disease is the number one health problem in this country today. More than half of Americans will die from complications of atherosclerotic disease, the root cause of cardiovascular disease and millions more will suffer debilitating complications that rob many Americans of a meaningful quality of life. One million Americans die of heart attack, stroke, high blood pressure and other cardiovascular disorders every year in the United States—that means 2 out of every 5 deaths in the United States, or one life every 33 seconds. Unfortunately, the majority of people with this disease are unaware of their problem until severe complications or death occur. 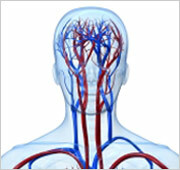 Carotid Artery Stenosis is responsible for at least 300,000 strokes a year. Stroke is the third leading cause of death in this country. The annual cost of care for stroke victims is incredible and it is a leading cause of disability in this country. Unfortunately, the majority of patients who have stroke from carotid artery disease have no warning prior to the event. Many people do not understand the significance of carotid disease risk factors and do not seek proper medical attention. Patients with vascular disease affecting the heart, legs or renal arteries have at least a 15-20% chance of having significant carotid disease. 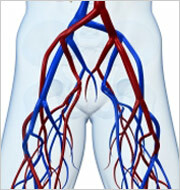 Abdominal Aortic Aneurysms affect over 2.3 million Americans but rarely produce symptoms until they rupture. If the aneurysm should rupture there is a 90% mortality rate making aneurysms the 13th cause of death in this country. If the aneurysm is detected early and treated, over 95% of people survive. Screening for aneurysms is particularly important for those patients with a family history of aneurysms and elderly patients (particularly males) with a history of smoking and hypertension. Physical examination is enough but a brief ultrasound examination will exclude the presence of the AAA. It is important to know that new methods for treating aneurysms are less invasive and require only a one-day stay in the hospital. Renal Artery Stenosis affects over 5 million Americans, does not produce symptoms and is rarely detected before complications occur. 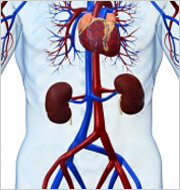 These complications include kidney failure and severe hypertension or blood pressure. Over 15-20% of patients on hemodialysis require this treatment as a result of undiagnosed renal artery stenosis. Ultrasound examination done with a well-trained technician can detect renal artery stenosis. The vast majority of patients can be successfully treated as an outpatient with an angioplasty and stent. 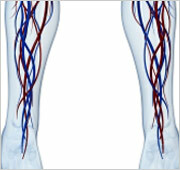 Extremity Artery Stenosis, or Peripheral Vascular Disease (PVD), affects over 10 million Americans. While many patients with PVD can be treated effectively with risk factor modification and exercise programs, it is critical to identify even the asymptomatic patient. People with PVD have a worse survival rate than breast cancer patients. PVD can be detected with a simple test in the primary care physician’s office. Early detection and modifying the risk factors of smoking, hypertension, diabetes or high cholesterol can improve the survival rates for these people. Substantial progress has been made in the awareness, treatment, and prevention of cardiovascular disease (CVD) in women since the first women-specific clinical recommendations for the prevention of CVD were published by the American Heart Association (AHA) in 1999. The myth that heart disease is a “man’s disease” has been debunked; the rate of public awareness of CVD as the leading cause of death among US women has increased from 30% in 1997 to 54% in 2009. The age-adjusted death rate resulting from coronary heart disease (CHD) in females, which accounts for about half of all CVD deaths in women, was 95.7 per 100,000 females in 2007, a third of what it was in 1980. Approximately 50% of this decline in CHD deaths has been attributed to reducing major risk factors in the other half to treatment of CHD including secondary preventive therapies. Major randomized controlled clinical trials such as the Women’s Health Initiative have changed the practice of CVD prevention in women over the past decade. The investment in combating this major public health issue for women has been significant, as have the scientific and medical achievements.